Clark Seif Clark provides testing and consulting services to identify and resolve indoor environmental quality issues in residential and commercial buildings. 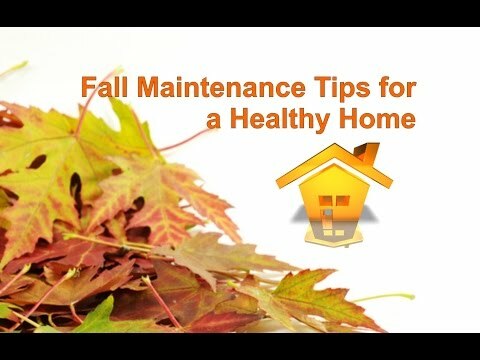 With the fall season in full swing, now is an ideal time to check the condition of a home or commercial property and perform some preventive maintenance tasks. Taking steps now can help to ensure a property is in good condition to provide a safe and comfortable place for building occupants before cooler winter weather arrives. Remove leaves and obstructions from gutters and downspouts to prevent ice dams this winter and ensure that all water is draining away from the building. Check siding for any damage or areas that moisture could enter. Inspect for any damage to the roof and be sure skylights are properly sealed. Check windows and doors for drafts and replace any worn weather stripping. Change filters for the HVAC system and consider having the furnace checked by a qualified professional. Also inspect the air ducts for the buildup of dust and debris. Trim trees that could cause damage to the property with broken limbs. Consider having any asphalt driveways or parking lots sealed. In places with freezing weather, don’t forget to shut off and drain any exterior sprinkler systems. Also check outdoor faucets for leaks.